 ICAD is a Coalition of over 100 Canadian AIDS service organizations (ASOs), non-governmental development organizations, unions, faith-based organizations, and individuals involved in HIV, AIDS and international development. ICAD helps Canadians contribute to international HIV/AIDS work and ensures that the lessons learned from the global response to HIV/AIDS are utilized by Canadian organizations to improve prevention, care, treatment and support work in Canada. 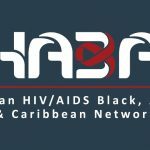 The Canadian HIV/AIDS Black, African and Caribbean Network (CHABAC) is a national network of organizations, individuals and other stakeholders who are dedicated to responding to issues related to HIV and AIDS in Canada’s African, Caribbean and Black communities. As part of a CHABAC Community Alliance, ICAD will lead the development, application, dissemination and evaluation of an African, Caribbean and Black (ACB)-specific program science framework to be applied across CHABAC Hub membership and beyond. The Project Coordinator will report directly to ICAD’s Executive Director and work in close partnership with CHABAC’s National Steering Committee (NSC) and National Management Committee (NMC). Must be fluent in English. English/French bilingual is an asset. Hours of work: An average of 2.5 days per week. Certain peak periods of the project may require more intensive work and/or weekend work. Location: The Project Coordinator can be based anywhere in Canada. Work environment: ICAD is a virtual office. The Project Coordinator will work from home. Please send your resume, with a cover letter that explains how your qualifications and experience relate to this position by 11:59 pm PDT on Thursday, April 18, 2019 to: hiring@icad-cisd.com. Only applicants selected for an interview will be contacted. ICAD welcomes diversity in the workplace and encourages applications from all qualified individuals, including people living with HIV, members of the ACB community and other visible minorities, Aboriginal peoples, and persons with disabilities.